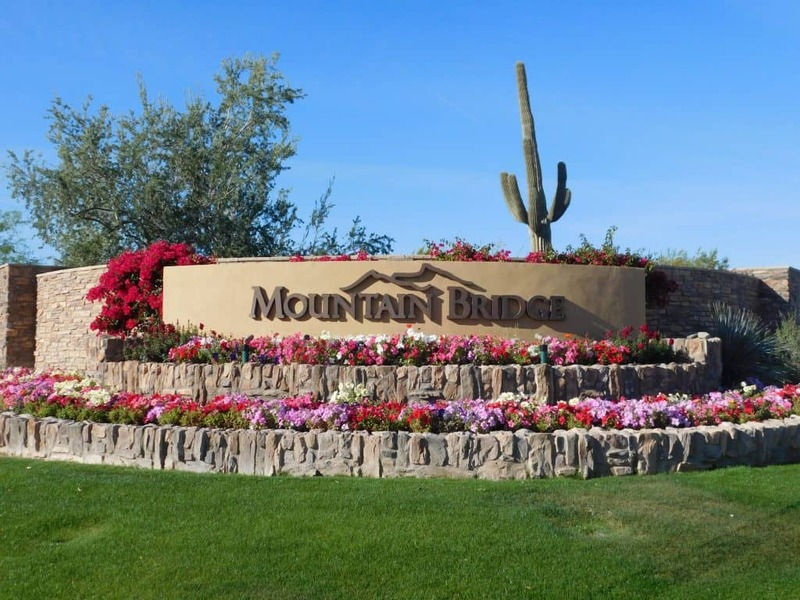 Mountain Bridge is a one-of-a-kind Masterplanned resort-style Community located in Mesa, Arizona. When first entering the community you drive under a covered Grand Entryway opening up-to 717 acres of Gorgeous mountains views with natural desert landscaping throughout the community. Although it is not a retirement community, a large percentage of the residents are seasonal. Mountain Bridge is close to fine dining, superb golfing, great shopping and top-rated schools. All Twelve(12) communities are connected to miles of paved and unpaved walking/paths. Just a few minute drive and you have desert/mountain hiking, boating, tubing, and fishing. Twelve (12) private gated communities. Mountain Bridge is still constructing new homes. Remember when visiting the builder’s office at a new community, no matter how nice the salesperson is that greets you at the door and registers your name — They represent the builder… not YOU! Their job is to get the builder the highest price possible. Also, be careful what you say to the salesperson at the builder’s office, they can tell by your words and actions, how interested you are. This will affect your negotiations when moving forward with a newly built home.